It’s the product that ever road warrior on business and Mac user on their travels has been waiting for. 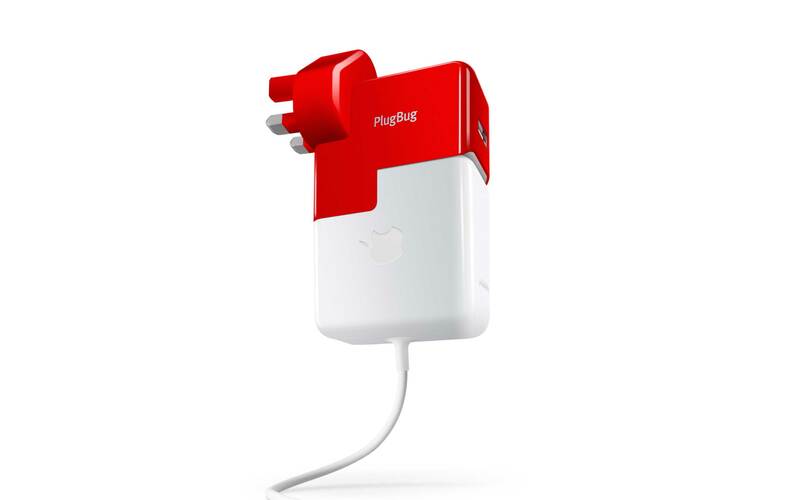 Augmenting a standard wall charger that every Mac user has to cart around the globe, the red-coloured 62x184x106mm TwelveSouth PlugBug World effectively replaces the wall charger section and adds a USB slot for charging-up any phone or tablet. The TwelveSouth PlugBug World – which weighs just 227g – doesn’t do anything new. Your MacBook already has a couple of USB slots that can charge-up a smartphone or tablet while the laptop itself is plugged into a wall socket. But by adding a USB slot the TwelveSouth PlugBug World, which is nothing more than a 2.1-Amp USB wall charger with a pass-through for a MacBook Power Adapter – makes things a lot easier and faster, especially if you’ve got limited wall sockets or want to charge-up a lot of stuff. It re-fuels an iPad about four times quicker than a MacBook can on its own, and can even be detached from a MacBook Power Adapter and used solely as a tablet/phone recharger. However, what makes the TwelveSouth PlugBug World a real winner for travel are its universal adaptors. While a standard Apple wall charger will only ship with the adaptor of the country you buy it in, the TwelveSouth PlugBug World comes with five separate AC plug adapters for US.Canada/Japan, UK/Hong Kong/Singapore, Continental Europe, Australia/New Zealand, and China. Critically, those adaptors are very small weighing between a mere XXg and XXg each. However innovative the TwelveSouth PlugBug World is, it’s not the final piece of the jigsaw. But pair it with a super-small cable – such as the Nomad ChargeKey – and you’ve got a novel way to travel with less clutter.